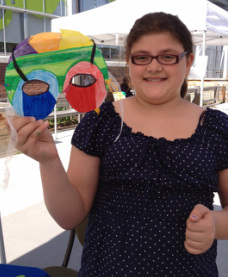 ERIC MAKES MASKS OFFERS MASK-MAKING WORKSHOPS AND SCHOOL VISITATIONS FOR KIDS OF ALL AGES. 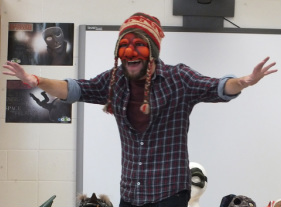 Eric has taught workshops for students from 5 - 18 and loves introducing students to the incredible and ancient art of masks and mask-making. 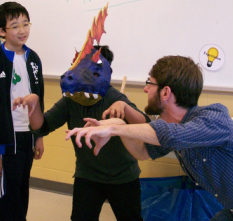 Workshops vary in price and time and range from one day school visits and mask talks to multi-day mask-making and performance workshops. Workshops can also be customized for each individual groups needs and time restrictions. Contact Eric at EricMakesMasks@gmail.com to find a workshop that fits for you! 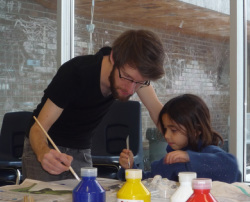 ﻿"Eric was a great artist to work with, as he adapted his usual workshop format to suit our event's need for an ongoing artistic activity outdoors, and his calm yet enthusiastic personality wonderfully gelled with young children at our second annual Uth Daze mi﻿ni arts festival! We are over the moon to have him return this year..."
﻿"Eric's workshops were magical. 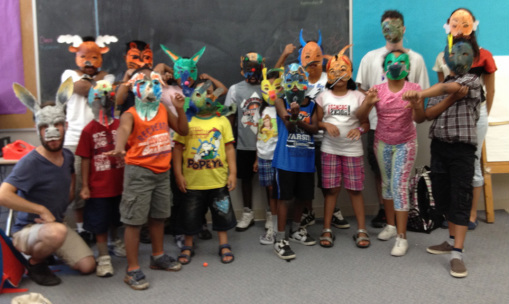 The kids got so much of his attention in creating their characters and exploring mask-making. 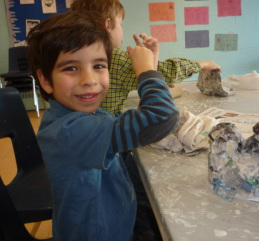 My child couldn't wait for each Saturday to come around"
The students enjoyed the workshop very much. It was interactive and fun for all. The lesson and information on Carnevale was exciting and complimented what we have been doing in school all week.